Published November 6, 2018 Filed under Culture & Heartland, Politics. Total of no comments in the discussion. Voters in six states will decide important energy policies on Tuesday. That includes Arizona, California, Colorado, Florida, Nevada and Washington. The U.S. could see its first carbon tax as California repeals a short-lived energy tax. There is a wave of energy-related ballot initiatives for voters to weigh in on this election year. Voters from Washington to Florida will be able to partake in important energy policy decisions for their states. Will Washington become the first state to tax carbon dioxide emissions? Will California undo a gas tax increase passed just seven months ago? Washington voters will decide whether or not to tax carbon dioxide emissions, a policy championed by Democratic Gov. 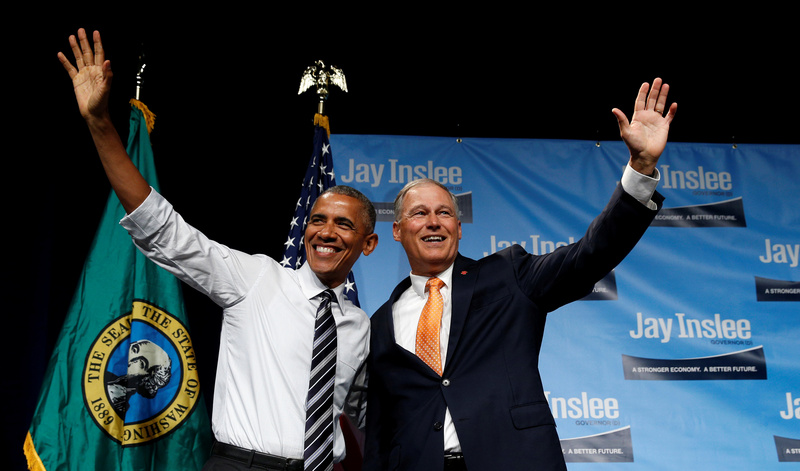 Jay Inslee and many Democrats and environmentalists who want to fight man-made global warming. The ballot measure, called Initiative 1631, would tax carbon dioxide emissions from industrial sources at $15 per ton in 2020, which would increase every year to reduce emissions. Supporters say the measure could raise more than $1 billion in revenue. Opponents, however, point out a carbon tax would raise the price of virtually every good while having no impact on future global warming. The tax would cost households and extra $175 per year in 2020, according to some estimates. U.S. President Barack Obama waves as he arrives to speak at a fundraiser for Washington Gov. Jay Inslee (R) in Seattle, June 24, 2016. REUTERS/Kevin Lamarque. The battle of Initiative 1631 has become the most expensive in state history, so far drawing $45 million from both sides of the policy. Carbon tax opponents, led by the oil and gas industry, pumped $30 million into opposing the ballot measure, and proponents have spent $15 million. An October poll found 50 percent of Washington voters favored the carbon tax, while 36 percent opposed it. Will Colorado Actually Ban Fracking? Colorado voters could end up banning hydraulic fracturing in most of the state. Polls show strong support for Proposition 112. 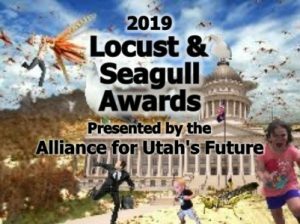 The ballot measure, if enacted, would prohibit oil and gas drilling within 2,500 feet of any building or “vulnerable” area, including waterways and playgrounds. That’s more than double the current state buffer for oil and gas operations. A September poll put support for Proposition 112 at 60 percent, but many prominent Democrats have come out against the measure. Democratic opponents include former Interior Secretary Ken Salazar and former Gov. Bill Ritter. Supporters say the ballot measure would protect public health, but opponents say it’s a red herring meant as a de facto ban on fracking. The measure would ban oil and gas drilling on more than 80 percent of non-federal lands in the state, experts said. California voters seem poised to repeal a gas tax hike signed into law only seven months ago that added an extra 12 cents per gallon and up to a $175 license fee for vehicle registration. A University of California-Berkeley poll from October found nearly 58 percent of voters opposed the gas tax increase. The political battle heated up that month when gas tax opponents threatened to recall Attorney General Xavier Becerra, a Democrat, for allegedly trying to mislead voters about the proposal. Gas tax repeal proponents are also backing an initiative to halt spending on California’s high-speed rail project and use any unspent funds to improve roads. 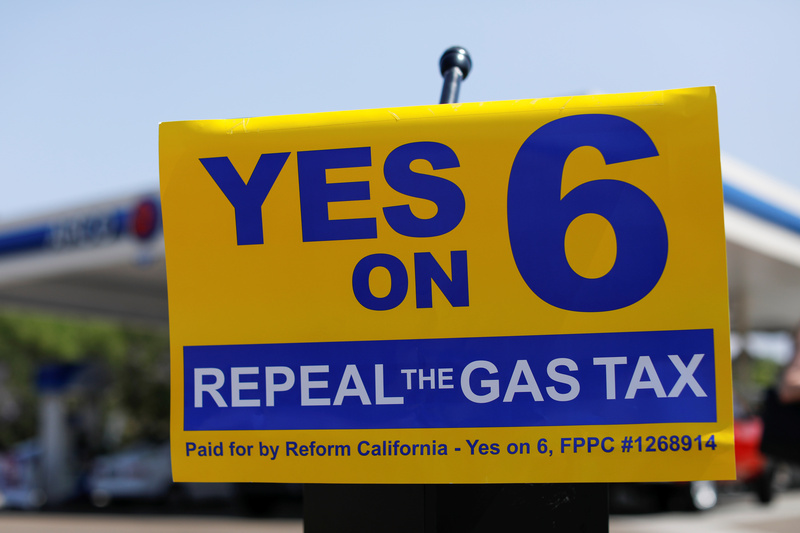 A California Proposition 6 six sign is shown as the growing movement to repeal a state gas tax holds an event at an Arco Gas station in San Diego, California, U.S. July 11, 2018. REUTERS/Mike Blake. Liberal billionaire Tom Steyer’s campaign group, NextGen Climate Action is backing ballot measures in Arizona and Nevada that would require both states to get 50 percent of their electricity from renewables, like wind and solar. Steyer pumped more than $20 million into the campaign, but opponents accused Steyer’s group of using “forged” and “fake” signatures to get the green energy mandate on Arizona’s ballot. Steyer’s group has spent more than $10 million in support of Nevada’s green ballot measure. Pinnacle West, the parent company of Arizona’s largest utility, spent more than $30 million opposing the green energy mandate, according to Ballotpedia. Under current laws, Arizona is required to get 15 percent of its electricity from renewables, and Nevada utilities are required to get 25 percent of their power from green sources. U.S. President Donald Trump talks to Florida Gov. 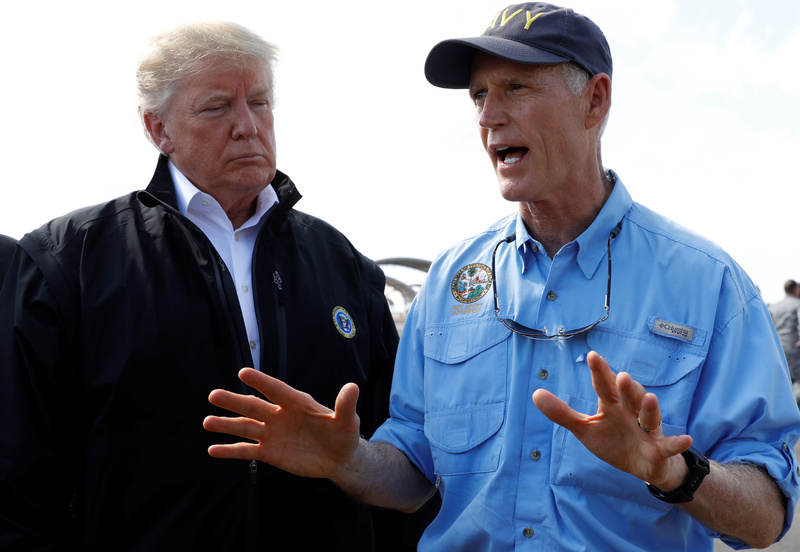 Rick Scott as the president arrives to tour storm damage from Hurricane Michael at Eglin Air Force Base, Florida, U.S., Oct. 15, 2018. REUTERS/Kevin Lamarque. Florida To Decide On Offshore Drilling … And Vaping? Florida’s Amendment 9 ballot measure, if enacted, would ban offshore oil and gas drilling in state waters and ban e-cigarettes from being used in enclosed workplaces. The measure is backed by Democratic and environmental groups opposed to offshore drilling, and apparently vaping indoors. It’s opposed by Republicans, the oil and gas industry and the Consumer Advocates for Smoke-Free Alternatives Association, a group that advocates for e-cigarettes. Opponents have attacked the ballot measure for its odd pairing of issues — smoking and offshore drilling. Many opponents of offshore drilling ended up opposing the measure because of its prohibition on vaping indoors. “While our editorial board opposes offshore drilling in state waters, we also are philosophically opposed to the Constitution Revision Commission’s ‘bundling’ of these unrelated issues into a single amendment,” the editorial board of Treasure Coast Newspapers wrote in October.